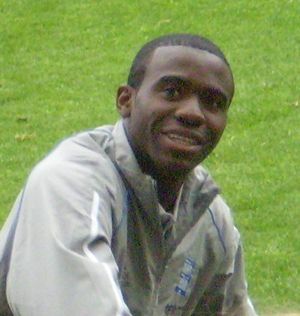 FABRICE Muamba has shared the story of his recovery with The Sun newspaper throughout this week. He told reporters: ‘I asked God to protect me and he didn’t let me down. I am walking proof of the power of prayer. For 78 minutes I was dead and even if I lived was expected to have suffered brain damage. But I’m very much alive and sitting here talking now. Someone up there was watching over me.’ The 24-year-old footballer was speaking for the first time since he collapsed on the pitch in front of fans. This entry was posted in Celebrity, Christianity, Contemporism, Faith, God, Prayer and tagged FABRICE Muamba, Sun. Bookmark the permalink.